It's not the end of the world if you miss out on this RPG classic... well, actually, it kind of is. Did you enjoy this week's podcast? You should have! It was really quite good. 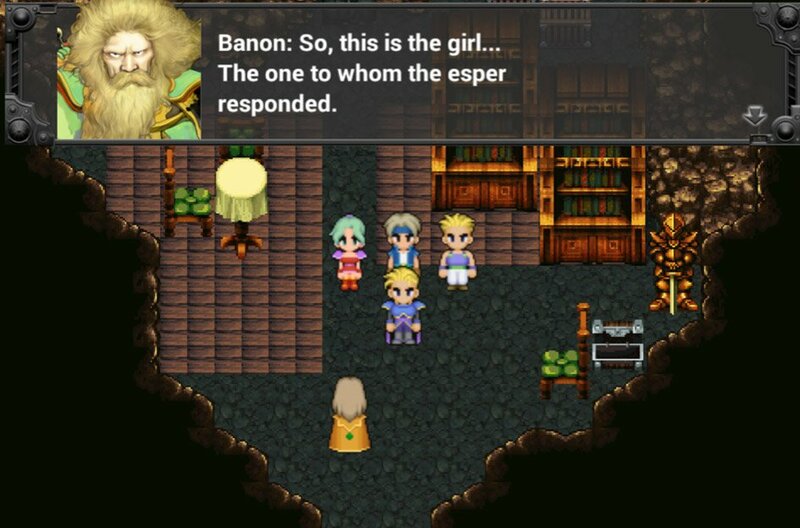 And now that you've listened to us blather on, you're in the mood for a little Final Fantasy VI action, right? Right. Good thing we've got your hookup: A list of all the ways you can legally acquire Final Fantasy VI in this day and age. One of these has got to work for you… though these releases are definitely not all created equal. In a lot of people's eyes, this is the version to go for. Sure, the title screen has the wrong number at the end of the title (it's a long story), and not everyone is in love with the localization by Ted Woolsey (he had to play fast and loose with specifics in order to squeeze the game into the limitations of a Super NES cart). But on the other hand, this version suffers no emulation errors, includes all the odd and obscure bugs that have become legend among fans, and features music that sounds, well, perfect. With the growing number of Super NES-playing devices on the market, e.g. the Analogue Super Nt, the old cartridge remains a surprisingly viable medium for playing this classic (if you can afford it, of course). Chances are pretty good the original backup battery will still work 24 years later, too. Well, this isn't the worst version of the game ever. But lord knows it's not good. The Final Fantasy Anthology set mostly stands out for being the first time Final Fantasy V had appeared in English (officially) and for correcting FFVI numeration in English. But the PlayStation conversion of the game had a lot of issues, including terrible slowdown, massive load times, and some really unpleasant graphical distortion (since it upscaled the 256x224 resolution Super NES game to 320x240 PlayStation output). The addition of some porcelain CGI in the intro and ending definitely don't make up for the technical issues this version introduced. 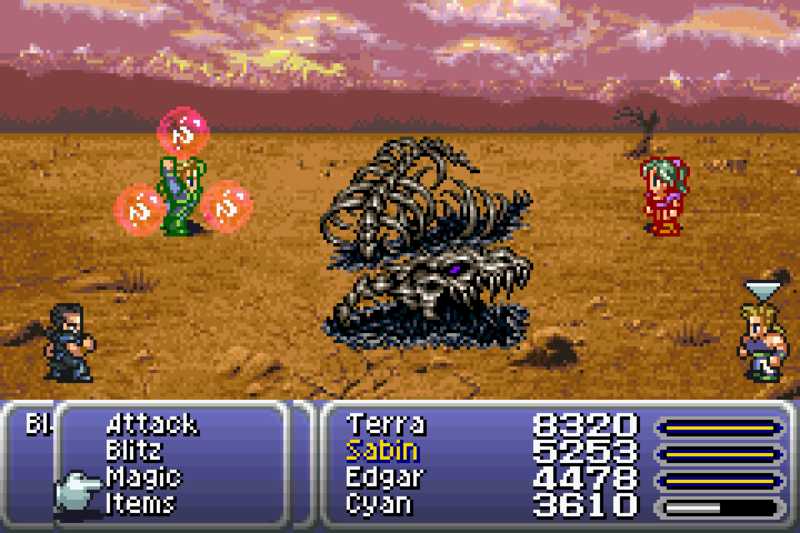 Final Fantasy VI Advance took the classic game portable. It also threw in some new content, including a proper use for a dummied-out super-boss in the original Super NES ROM (the Kaiser Dragon). On top of that, it added a new localization that didn't just revamp and expand the script but also brought the names of skills and monsters in line with the series' modern standards. The downside? The colors appear washed-out, the sound suffers considerably, and the resolution has been cropped. 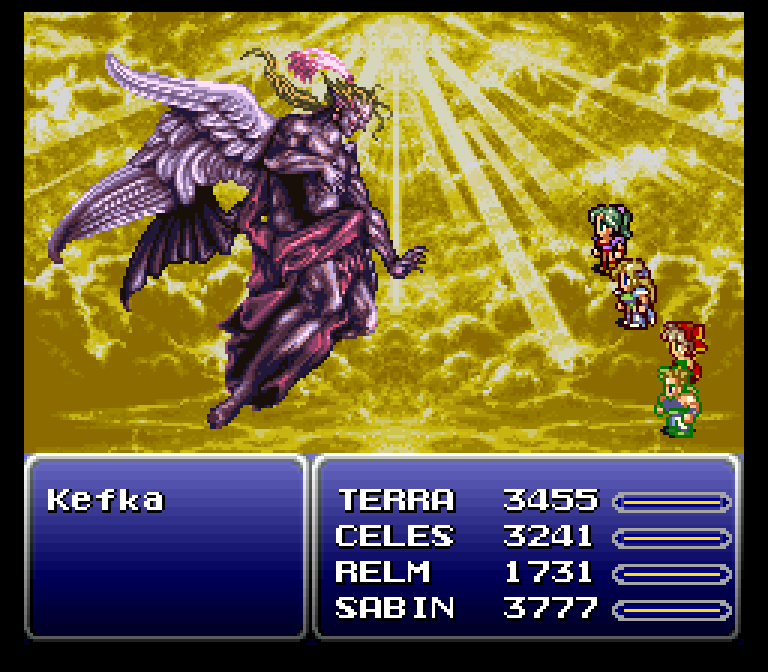 There's no way to fix the resolution, but industrious fans have managed to patch the game to restore colors and audio — which means this is a pretty solid way to experience Final Fantasy VI, if you don't mind doing a little leg work. If you want this version, you'd better hurry. It's more or less identical to the Super NES game, with the minor caveats that go along with all Wii Virtual Console games. In Japan, this version showed up on Wii U and 3DS Virtual Console as well, but for whatever reason Square Enix never saw fit to bring them out here. This is kind of a mess of a release. Which is to say, it's visually a mess, with filtered, clashing graphics and mismatched interface elements. And the original version of the game was also a mess, suffering from bugs that rendered the game unbeatable for a while. While the most egregious of these bugs were eventually patched out, there's no redeeming the rest of this disaster. Avoid. Based on the mobile version, this Steam port retains the same horrible art "style," but it's not quite as dire in terms of play as the iOS release. It adds Steam achievements and controller support, if nothing else. This is definitely not the ideal way to play, but it's the least painful format for gamers on a budget. The Super NES Classic Edition mini-console does the best job of reproducing the original Super NES experience in HD. The sound's very slightly off, but otherwise, it's more or less perfect. Also, it comes with 20 other games. It's just, you know, can you actually find one?